"Be ready to revise any system, scrap any method, abandon any theory, if the success of the job requires it,” said Henry Ford in 1923. 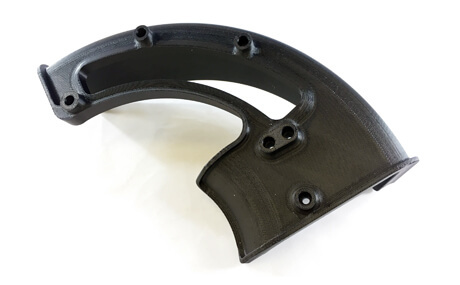 The automotive industry requires it and 3D printing, by turning designs into solutions, is used for rapid tooling and jig and fixture design in remarkable ways. It may be fulfilling Ford's prophecy. From hot rods to race cars, light and heavy trucks to conventional automobiles, 3D printing is making a significant impact on the automotive sector. Here are a few worth noting. General Motors claimed it saved nearly $300,000 with 3D additive manufacturing of tools, fixtures and jigs in its pursuit of lighter parts for its electric vehicle production. This was in lieu of more costly subcontracting to a prototype manufacturer who would not provide a design in nearly the same time and at nearly the same cost. They did it themselves and saved time and money and had flexibility in arriving at their design. Team Penske is a leader in NASCAR, Indy racing and other racing venues. They use 3-D printing to create jigs and fixtures that enable different part variants for their high-performing cars. Like other applications, 3D printing enables them to try things – just as they drive their cars – very fast. Their 3D printers create model parts, to scale, and with the same characteristics as life-size parts to test in wind tunnels. The flexibility and ease of 3D printing allows them to test variations in the wind tunnel, using scaled down parts. Once the composite is right, and desired configuration and characteristics meet their expectations and design, they can then upscale to production. The process has obvious benefits – namely speed of design and flexibility to get the design precise and up to the desired performance. Volkswagen Europa uses 3D printers on a daily basis to fabricate jigs used in their busy assembly lines. For example, they created a jig to place the vehicle model badging – as in the badge that denotes it’s a Scirocco or other model – in its proper place on the rear of the vehicle. A simple jig, fabricated with a 3D printer allows assembly line workers to place them with precision, ensuring consistency from vehicle to vehicle. Volkswagen also developed a jig that allows a wheel to be installed on the assembly line without the pneumatic tool damaging any part of the wheel hub finish, or any other surfaces. They previously had jigs fabricated via external sources and suppliers. In some cases, it took nearly 35 days to produce. They now can be fabricated in a day and can be tweaked and changed as needed; a big savings in time and money. In Lyon, France, Volvo Trucks put 3D printing to work as part of its design of different clamps, jigs, supports, and holders in their production line. Like many other automotive companies and designs, they sought performance parts at the lightest weight possible with a minimal of sacrifice of other characteristics. They’ve replaced metallic tools, jigs and fixtures, and with the help of 3D printing custom tools they use acrylonitrile butadiene styrene (ABS) thermoplastic instead. It allows them to use trial and error in their tool design. Such fabrication is inexpensive and produced at a fraction of the required time. What used to take them 36 days to fabricate in metal, they can now do the same with ABS in two days, at a fraction on the cost thanks to 3D printing. To benefit from the flexibility and ease-of-production, one does not have to be a major auto manufacturer either. At least that’s the case for Marcy, New York based Tucci Hot Rods. They design and prototype parts at lightning speed using their 3D printer to create prototype parts. After some testing and trial, they can produce final pieces – sanded, painted and installed. But their use of 3D printing goes beyond the prototype parts. Like a full-scale automotive manufacturer, they make tools and jigs for things like painting templates, trims and painting shields that are a part of the end design of their hot rods – where appearance and a crisp design and look are paramount. Tucci claims that using 3D printing has tripled their efficiency and saved about 10 times what they would have invested using more archaic methods of prototyping and painting. “Revising any system” are words to remember and demonstrate that Henry Ford’s words ring true in today’s automotive market as 3D printing continues to improve its efficiency. Want to learn how to 3D print your own jigs and fixtures? This tutorial can show you how: How to 3D Print Jigs and Fixtures. Jim Romeo is a Mechanical Engineer who has worked as an engineer for thirty years in industrial power industries. 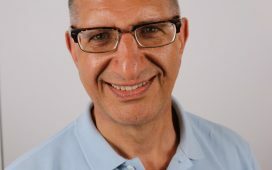 He is also a seasoned copywriter, who has authored thousands of articles focused on business and technology - which includes additive manufacturing, lean manufacturing, plastics engineering and specialty materials.